Every year, around 1 million people seek care for pneumonia in the United States. Of these people, 50,000 will die from the infection. Pneumonia is an infection that inflames the air sacs in one or both lungs. The air sacs may fill with fluid or pus which can cause coughing, phlegm, chills, fever, and difficulty breathing. 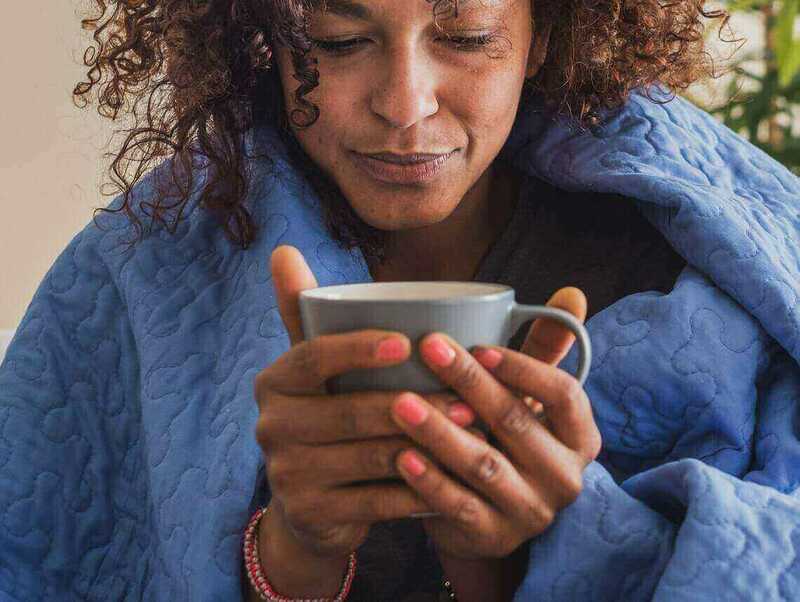 Symptoms of pneumonia can vary from mild to severe depending on various factors such as your age, your overall health, and what type of germ is causing the infection. Newborns with pneumonia may not show any sign of the infection. They may throw up, have a cough or fever, or appear tired and without energy. There are many germs that can cause pneumonia. The most common germs are bacteria and viruses that are in the air that we breathe. Although your body typically prevents these germs from infecting your lungs, sometimes they can overpower your immune system. Community-acquired pneumonia is the most common. This type of pneumonia occurs outside of hospitals. It is typically caused by bacteria, bacteria-like organisms, fungi, or a virus. Some individuals get pneumonia while in the hospital for another illness. Hospital-acquired pneumonia can be serious since the bacteria that has caused it may be more resistant to antibiotics. People who get pneumonia while in the hospital typically are already sick which means their immune system may be compromised. Healthcare acquired pneumonia is a bacterial infection. This type of pneumonia typically occurs in people who live in long-term care facilities. It also tends to occur in people who spend a lot of time in outpatient clinics such as kidney dialysis centers. Like hospital-acquired pneumonia, this type of pneumonia can be caused by bacteria that are more resistant to antibiotics. This type of pneumonia occurs when you inhale food, drink, or saliva into your lungs. Aspiration is likely if something has disturbed your normal gag reflex, such as a brain injury or excessive use of drugs and alcohol. If your doctor thinks you may have pneumonia, he or she will start by asking you about your medical history. He or she will then do a physical exam which includes listening to your lungs with a stethoscope. During this exam they will listen for abnormal bubbling or crackling sounds which may suggest pneumonia. If they still suspect pneumonia following the exam, they will likely recommend blood tests, chest X-rays, pulse oximetry (measuring the oxygen level in your blood) or a sputum test. For patients who are 65 or older, in the hospital, or those with more severe symptoms, a CT scan or a pleural fluid culture may be ordered. If you’re hospitalized, you have a greater risk of pneumonia. The risk is greater if you’re on a machine that helps you breathe. If you have a chronic disease such as asthma or COPD you’re more likely to get pneumonia. People who smoke lessen their body’s natural defenses against the bacteria and viruses that cause pneumonia. Individuals who have HIV or AIDs, those receiving chemotherapy, and those who have had an organ transplant are at higher risk of pneumonia. Bacteria from the lungs can enter the bloodstream and spread the infection to other organs. People with severe pneumonia may experience difficulty breathing. They may need to be hospitalized and put on a breathing machine while their lungs heal. A lung abscess typically occurs if pus has formed in a cavity within the lung. This is usually treated with antibiotics but sometimes surgery or drainage with a long needle will be needed to remove the pus. Fluid accumulation in the lungs, also known as a pleural effusion, can occur between the thin layers of tissue that line the lungs. If the fluid becomes infected it may need to be drained with a chest tube or surgery. Treatment for pneumonia focuses on curing the infection and preventing complications. People with community-acquired pneumonia can be treated with medication that they can take at home. Most symptoms let up in a few days or weeks, although the feeling of fatigue can last for a month or longer. Pneumonia treatment depends on the type and severity of the pneumonia as well as age and overall health. Treatment options for pneumonia include antibiotics, cough medicine and over the counter pain relievers. In some cases, people with pneumonia may need to be hospitalized. This is especially true in individuals who are elderly or in young children. If you are 65 years old or older, are confused about time, people or places, experiencing a decline in kidney function, are experiencing low blood pressure, or your breathing is rapid, you may need immediate medical attention for pneumonia. If a child is diagnosed with pneumonia and they are younger than 2 months old, they may need to be admitted to the hospital. If the child is lethargic or excessively sleepy, is having trouble breathing, or has low blood oxygen levels, they will likely need to be admitted to the Intensive Care Unit. There are lots of things you can do to lessen your chances of acquiring pneumonia. Smoking damages your lungs’ natural defenses against respiratory infections. There are vaccines available that can help prevent some types of pneumonia. You can talk with your doctor about getting these vaccines. Doctors recommend a different pneumonia vaccine for children who are 2 years or younger and for children who are 2 to 5 years old. Eating a healthy diet, exercising regularly, and getting enough sleep can help keep your immune system strong to fight against bacteria and viruses.